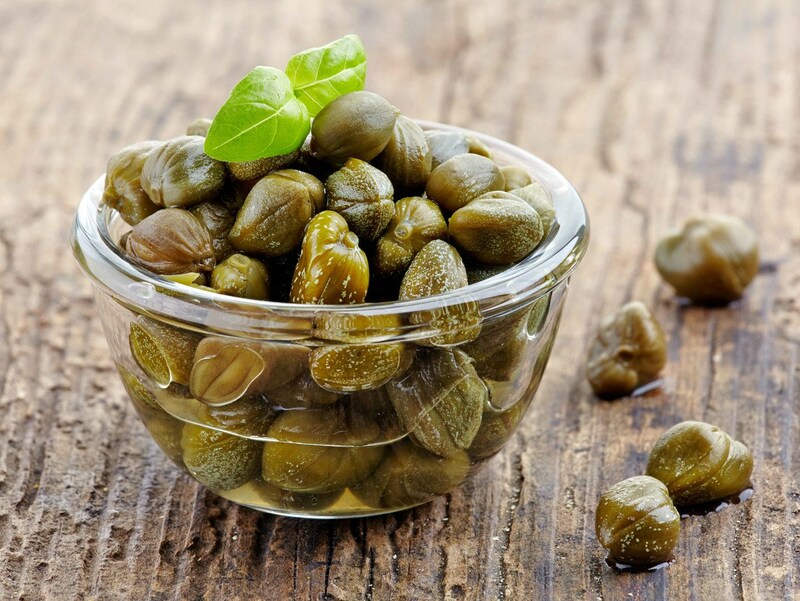 What Do You Need To Know About Capers? How Do Capers Look Like? Why Are Caper Buds Sorted? There are so many things you need to know about capers. They are the unopened buds which grow on the new limbs of the caper plant. Since the plants grow wild, therefore, the berries are hand-harvested as well as regularly picked in the morning hours based on the season and once the weather is sunny and dry. You might think that capers are a new name on the culinary market, will you think again. Here, let us know more about capers. Caper plants are rarely grown commercially by the farmers all over the world like other veggies. But, you can easily see caper plants that cling and protrude from the rocks and wildly grow in the most Mediterranean region such as Greek and Spain wherein the soil and climate seems to be formed in order to adapt to the capers. Since many aren’t familiar with this plant, it would help if I will describe this kind of vegetable. So, they are small green and unopened buds, and they look like a small cabbage. Once fully-blossomed, their buds become pinkish-white flowers. However, the part that is often pickled in vinegar and sold in jars are the buds of the capers. Well, capers are definitely harvested by hand in the mornings, and they are being sorted separately according to their sizes for them to have their names. They are classified to different sizes because each size would be used for a particular dish or purpose. Indeed, there are different kinds of capers. However, the ones which are harvested the most and also considered as the best are those who come from the spineless plants. They have more rounded, and firm buds and they produce the best and the most consistent flavors. 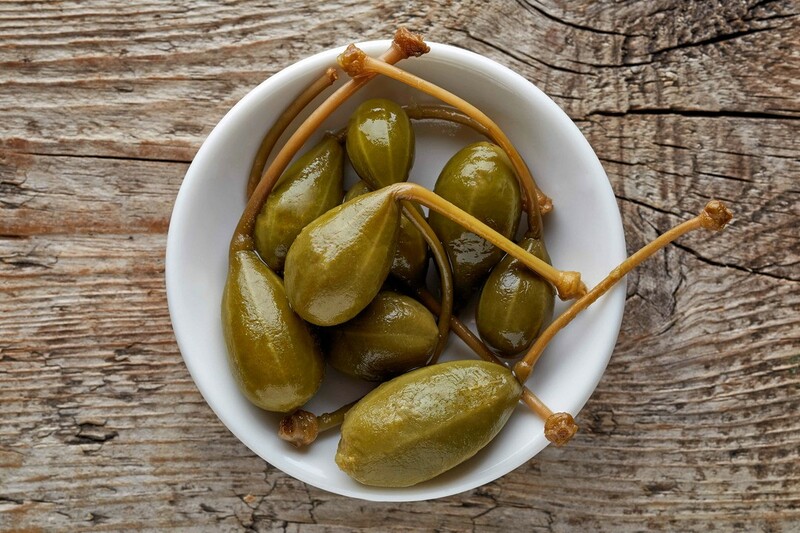 Knowing all this, are you now excited to find out what do capers taste like? I think you are! These days, capers have become widely available due to the improved transportation as well as globalization. 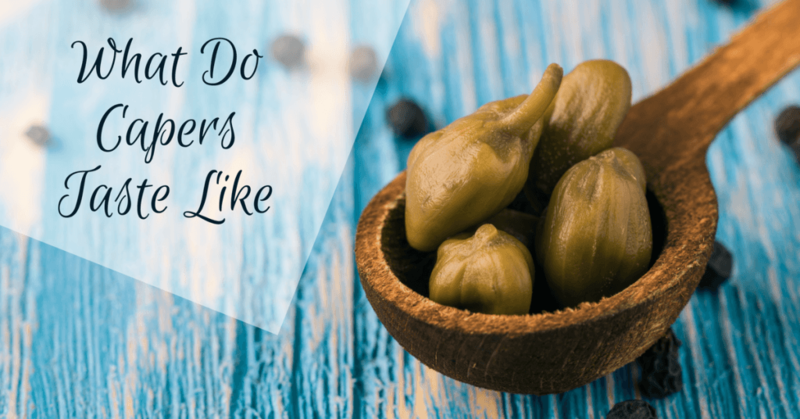 But, because of the geographical differences, other people in some parts of this world are still clueless of whether what do capers taste like. To help them figure it out, it has a flavor that could be characterized as salty, a little olive and piquant sour. And because of these mixed tastes, caper usually appears in different dishes as an additional spice. In fact, you could notice that capers are widely used in most Italian cuisines. They add a unique flavor to recipes like pasta puttanesca and chicken piccata. And of course, there are different options you can choose from on whether how to use capers. You might sprinkle them on the smoked salmons or simply mix them with salads. And numbers of recipes are invented with the use of capers because of its versatility. If you consider pickled capers, you have to expect a little more piquant, tangier and sharper taste. The sourness might even be experienced at first. Fresh capers don’t have any exception when it comes to taste. If you prefer, dry or brine them along with other ingredients like olive oil, salt, and vinegar to achieve enhanced sharpness of its taste. This will lead to having a unique flavor. You should really try tasting capers by yourself and experience its unique taste. As said earlier, some places might have a hard time finding and having capers, or in some cases, some supermarkets might run out of supply in time that you needed capers the most. But, if you really need it because of the flavor it provides, no worry as there could be alternatives out there. This traditional herb is also regularly used in curing or cooking certain dishes. But did you know that you could use this as a substitute to capers? Yes, you heard it right. The flavor of thyme is as strong as the flavor of the capers, and it has a taste that absorbed into the dishes gradually. Nevertheless, the only difference is that you are advised to put thyme a lot earlier during the cooking process to help the flavor be mixed. And one of the best ingredients which could give you the most similar taste as the capers are the green olives. Though the size is the only problem that might arise, still green olives are great substitutes to consider. You need to cut the olives into two halves as for achieving the same size as the capers. So, if you need four capers, you would only need two green olives. They have equally pungent flavor making green olives the best alternatives. 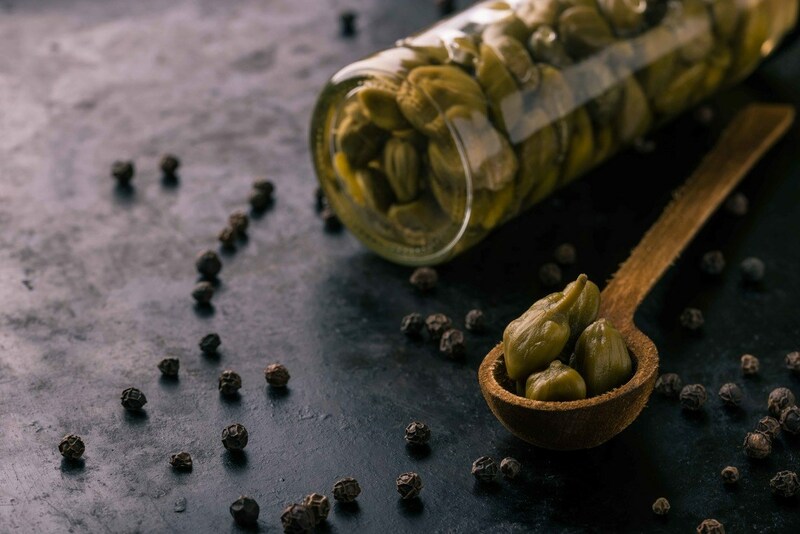 For you to enjoy the taste of capers, why not try a delicious recipe using capers? Here, I will provide you a recipe for capers with a touch of Mediterranean style. Add water to a big pot, bring it to boil and add the spaghetti. Cook it, drain the water then set aside. In the meantime, add the olive oil to the pan and allow it to be coated the bottom evenly and let the oil be heated. Now, add the minced garlic and cool it until fragrant. After that, add the tomatoes and cook while stirring for six minutes. Once the tomatoes are tender and have already thickened, mix it with the capers and cook for several minutes. You need to season the mixture of the tomatoes and capers along with the pepper and salt. Chop the basil leaves and add to the mixture. You need to lower the heat in order to let it simmered. Here, add the cooked spaghetti to the mixture and toss to combine well. You just adjust it to your taste. You might as well garnish the dish with the remaining basil leaves.Finally, it’s done, and it’s time to enjoy the dish! There you have it! 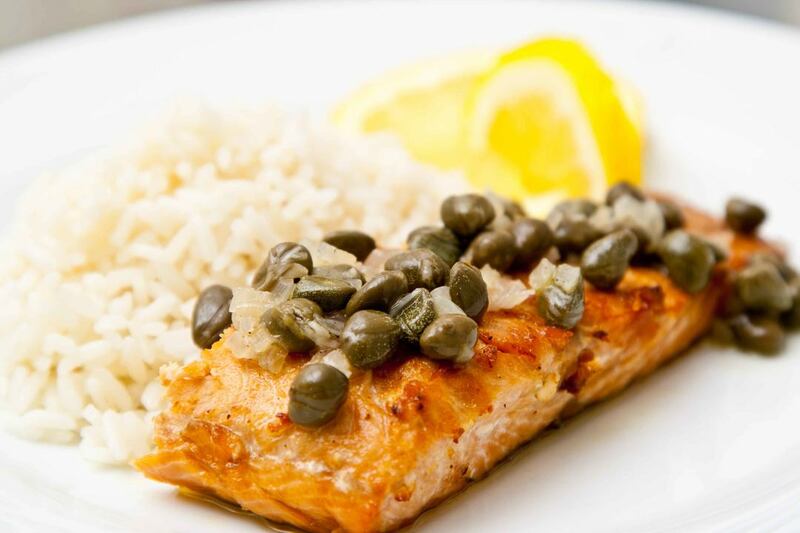 Why not try this recipe at home and enjoy the taste of capers. 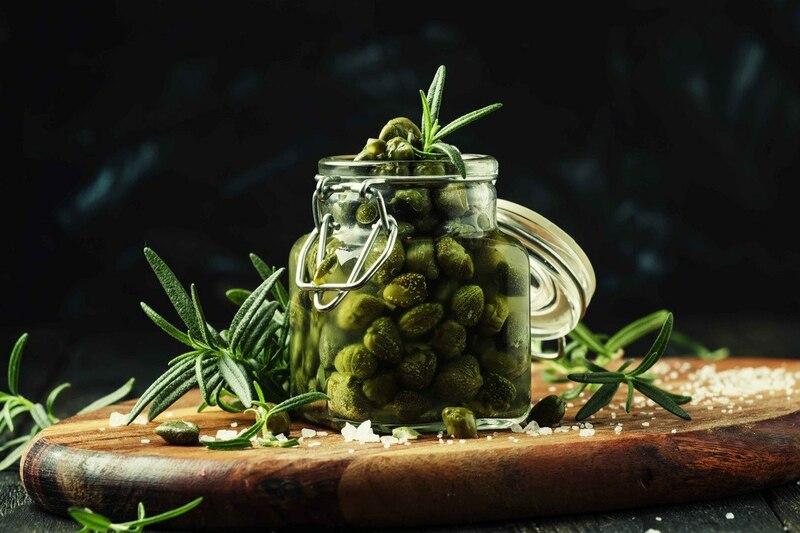 Capers contain a moderate amount of iron which is considered as an essential mineral for oxygen transport helping the red blood cells to carry oxygen all throughout the body. It also helps the cells in producing enough energy needed for daily functions and also in general development and production of cells. A tablespoon serving of the capers would have a little more than 2 micrograms of the fat-soluble vitamin referred as the Vitamin K. It helps with keeping the bones strong and healthy and cell development too. These are just among the health benefits out of eating capers. If you want to reap these benefits then having capers in your diet must be considered. Bear in mind that capers might be hard to find in some parts of the world, including it in your diet is a lot worthy. So for the question what do capers taste like, the answer is clearly stated above. Eating capers will let you know its unique flavor as a proof to what is said in this article. Along with that, you are not just provided with the taste of the capers but also essential information about the said vegetable. In fact, a recipe is provide to let you experience its taste. For a crispy fried capers, watch this. We are very pleased to hear your thoughts! Just leave your comments below. Hit like and share this article for others to be familiar of the capers taste. Happy cooking everyone!